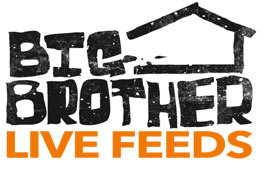 Each week, WeLoveBigBrother.com will bring you an exclusive post-eviction interview with the Big Brother 12 cast. After being evicted, we will ask the evicted houseguests YOUR questions. Read what Monet had to say about her time in the house. Reminder, WeLoveBigBrother.com was the first to break the news that ALL houseguests are being sequestered this season — possibly for a future twist in the game. After all, it is Big Brother and we are to “expect the unexpected.” Since Monet is being sequestered, we were not able to speak to her on the phone, but we did still submit questions via email (read below. Matt Maynard, WeLoveBigBrother.com: Why do you think your fellow houseguests voted you out over Matt—who was essentially called out during the house meeting for stirring things up? Monet: I think that I was voted out because it is what Rachel wanted. This cast is so wired because it seems like everyone wants to stay with the majority versus doing what will benefit them in the long run. In my opinion, that is stupid because what is best for one person is not necessarily what is good another. Matt: Let’s talk about your game play. You played a very “quiet” game—very much “under the radar.” Was that intentional, and if you had the chance, would you play that way again? Monet: No, it was not my initial intentions to play that way at all, but when I won the money it was hard to form alliances and get people to align with you. Matt: Talk about house dynamics—how do you see the house splitting as far as alliances and loyalties right now? Monet: I think that one side of the house is probably Brendon, Rachel, Kathy, Reagan, Kristen and Hayden because of Kristen – he will do whatever Kristen does. Other side is Lane, Enzo, Britney, Andrew. Matt is playing both sides of the house. Matt: If you were still in the game and won HOH this week, which two houseguests would you have put up, and who would you have ultimately wanted out? Monet: I probably would have put up Brendon and Kristen and ultimately wanted Brendon out. Matt: Let’s play a quick game: I’ll give you a houseguest and you give me a couple of words to describe that person. Matt: What about Brenden and Rachel. Since you now know not to mess with Rachel’s man—what are your thoughts on their relationship? Romance or total showmance? Matt: Who’s the strongest player at this point? Who could go all the way? I think Lane is playing a smart game. If Matt is not evicted soon, he could go far because he is a very smart and a strong game player.